A meeting of key local officials, including the police, fire service and local councils, was held in Daventry on Monday to try and draw up a plan to tackle the recent spate of arsons. On Monday this week various agencies and councils all met at Daventry Fire Station to discuss the problem and how best to tackle it, including the launch of ‘Staysafe’ – covering safety and risks to children. Two schemes, similar to neighbourhood watch, will be also be promoted – Parkwatch and Allotment Watch – to involve the community. Extra police patrols have been carried out in the town, and the new joint police and fire service vehicle has been used as well. Incidents of fires being started between May 26 and the end of June include – small fires being started on Borough Hill, a bin and rubbish fire on the Fishponds, a bin fire on the Spider Park, a mattress set alight on the railway path, industrial bins and fencing set alight at Daventry Country Park, the two shed fires at the Welton Road allotments, two wheelie bins set alight in Sturdee Close, a stolen golf buggy set on fire on a wooden bridge in the Country Park, two wheelie bins set on fire in The Stour ,and a stolen motorcycle set alight on parkland off Ericsson Close. Local police are now working with CID investigators to investigate the crimes. 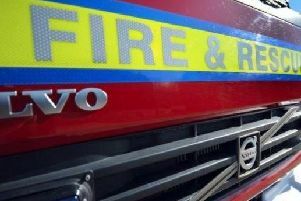 The police are also working with Northamptonshire Fire and Rescue Service, and the Arson Task Force to reduce risk and prevent further fires.